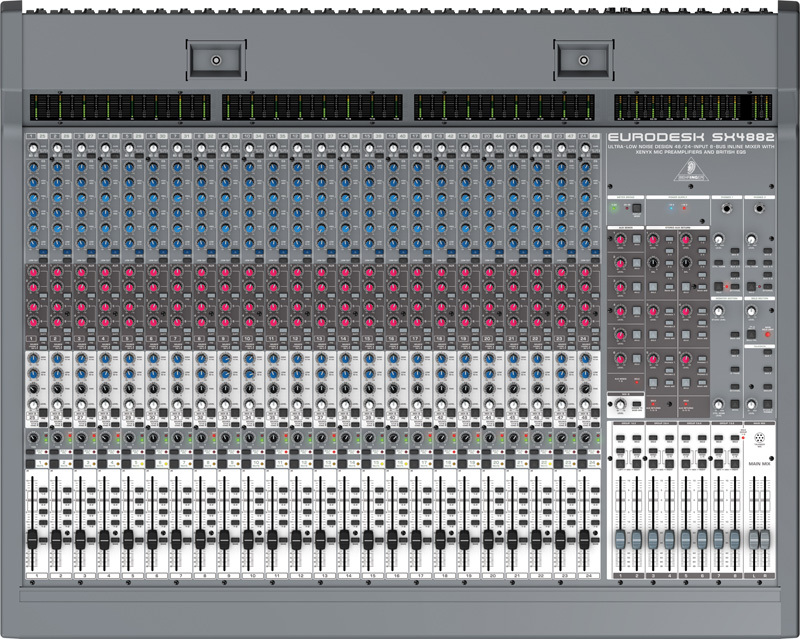 Whether recording in the studio, running live house sound, recording a live show, or for use as a stage monitor mixing board, the feature-packed SX4882 does it all. 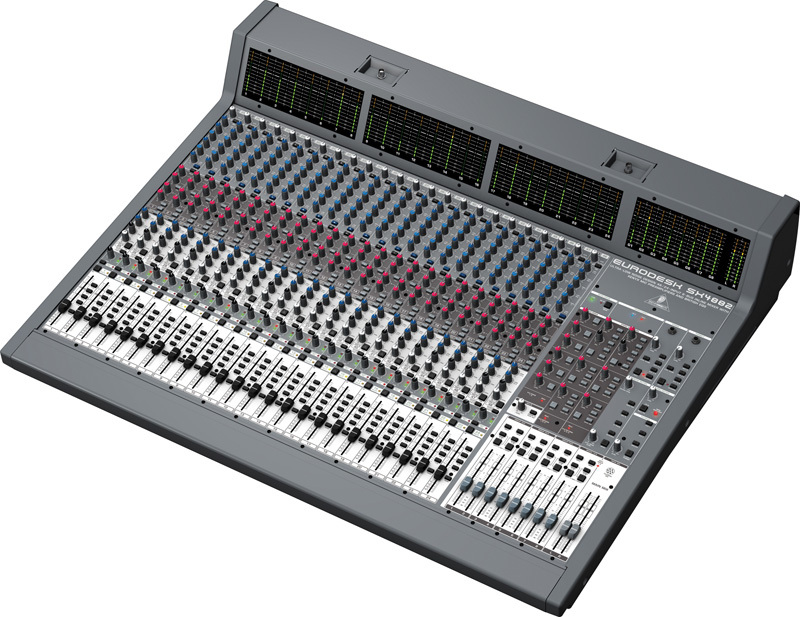 Designed with live performance versatility and recording necessities built in, this console combines years of every sound engineer�s wants and needs into one high-performance machine. It may not get you free beer or groupies, but it rocks for live-sound and recording. An in-line mixer is a mixer within a mixer. That�s the reason you will notice this board is labeled Channels 1-24 AND Channels 25 � 48. 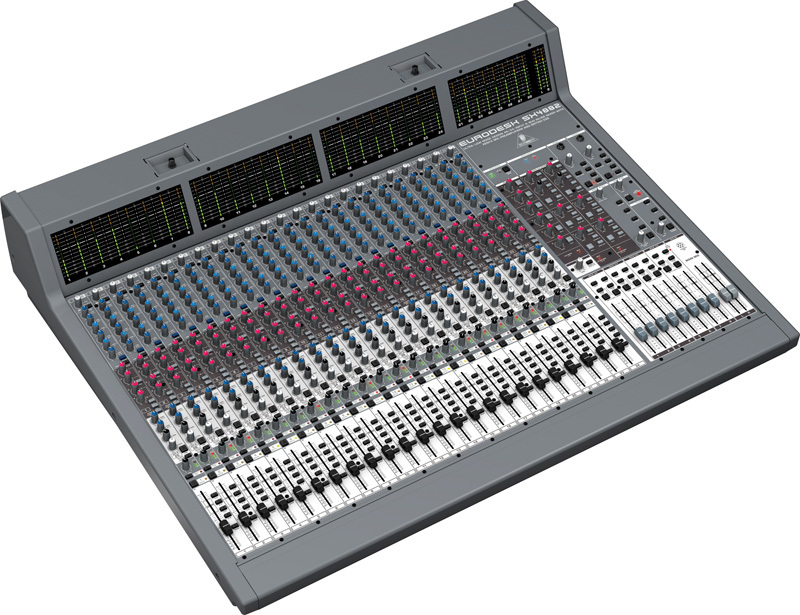 It�s really two 24-channel mixers in one. 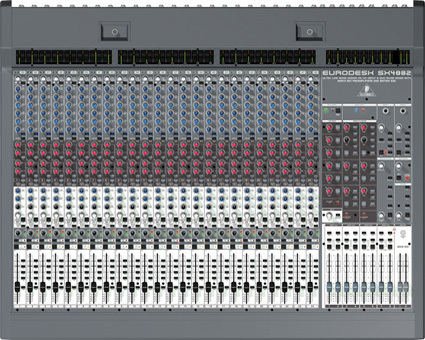 This �embedded mixer,� called Mix B, is typically used in recording applications, but it has some useful live-sound features as well. In the studio, Mix B allows you to return all your multi-track tape channels back into channels on the board without losing any of your 24 main-input channels. This provides seamless playback and mixdown capabilites with just a few button pushes and no additional patching. In other words, no visible plumber-cracks or untimely delays. 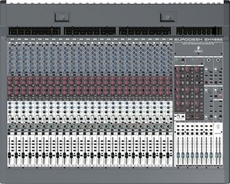 Live, Mix B can be used to send a totally separate 2-track mix to a recording device, separate speaker zone or out to a broadcast feed, plus it functions as an additional monitor or effects bus. 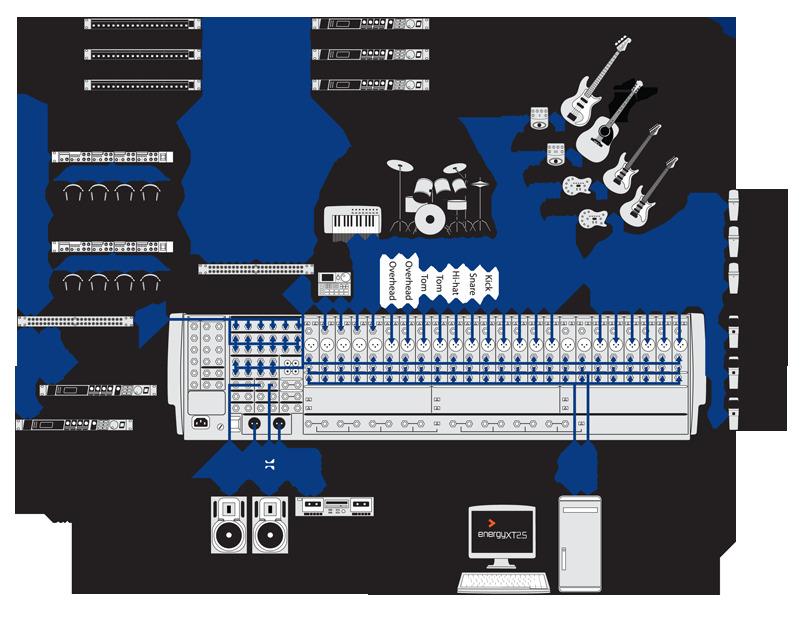 One reason you�ll really appreciate having the in-line mixer is simple: LIVE RECORDING. 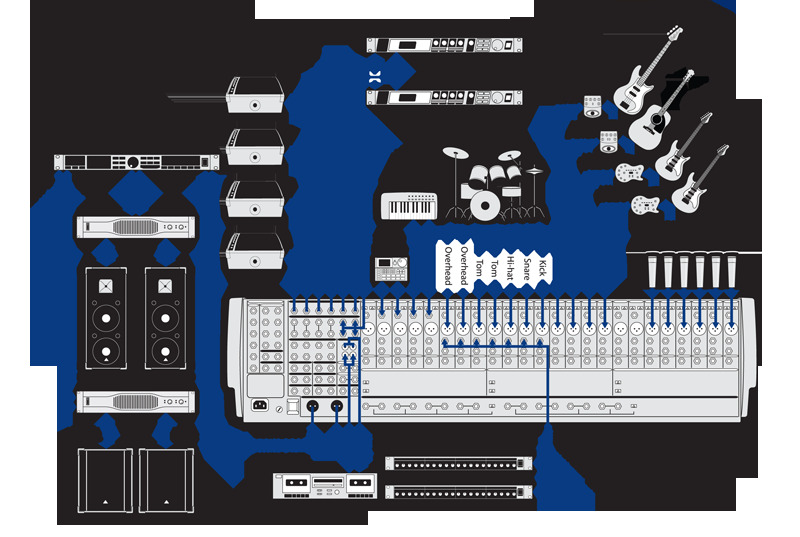 If you�ve ever tried to make a recording off of the board during a live show, you know how well that works (NOT!). Often input and output levels necessary for quality recording do not match the requirements of the live mix, where stage volumes factor in to the overall room sound. Getting around that issue used to require a splitter and second mixer just for recording. Now that is eliminated by having an in-line mixer in your live board. Use your creativity where it matters most � in getting the sound and mix you want, not on brain-twisting patching compromises and channel routing puzzles. Complete versatility and accessibility is what it�s all about and the SX4882 does not disappoint. There�s no scrimping and saving on this board. Every channel has every feature of every other channel. They are all the same! No more �if only� sighs of frustration to utter as you try to organize your inputs. As long as we�re talking about channel strips, you might as well know that this board has a big treat in store for you: TWO bands of semiparametric mid range controls. This is two more than many boards offer and at least one more than most live sound boards. Gone is the dilemma of EQ-ing out the honk at 600 or adding a little upper-mid crispness at 2k to bring out the clarity. Now you don�t have to compromise.There�s no scrimping and saving on this board. Every channel has every feature of every other channel. They are all the same! No more �if only� sighs of frustration to utter as you try to organize your inputs. Expensive British consoles have long been praised for having sweeter, smoother channel EQ than many other mixers provide. That�s why the EQ circuitry on the SX4882 is designed with British-style EQ, with wider curves and smoother phase characteristics. It maximizes effective frequency sculpting without harshness or gaping holes in the audio spectrum. This sweet feature will benefit your mixes � both live and in the studio. You may even start saying �Check One, Two� with a British accent. And it�s worth repeating that there are two sweepable EQ bands, not just one. That�s a must-have for many situations, and now you have it! The microphone preamp is one of the most important circuits in a mixing console. It boosts the low level microphone signal to a line-level operating level and it�s the first bit of processing applied to any mic signal. No doubt you�ve heard the phrase, �garbage in equals garbage out.� This is really true when it comes to mic preamps. Common issues with lower quality mic pres include noise, distortion, low headroom, and unimpressed fans. 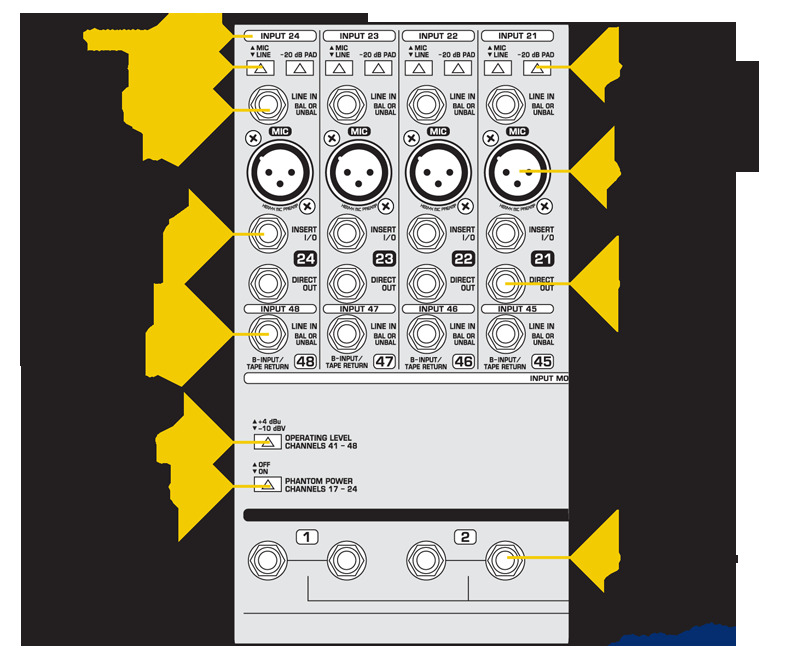 BEHRINGER uses high quality XENYX preamps in our professional mixers. These are ultra low noise, high headroom preamps that can hold their own, even against expensive standalone boutique-style preamps. This baby�s got buttons. Do buttons look cool? Yes! Is this why they are on the board? No! They�re there because you need them all! But many mixers don�t have all these options, which may be why some sound technicians are missing a lot of their hair.